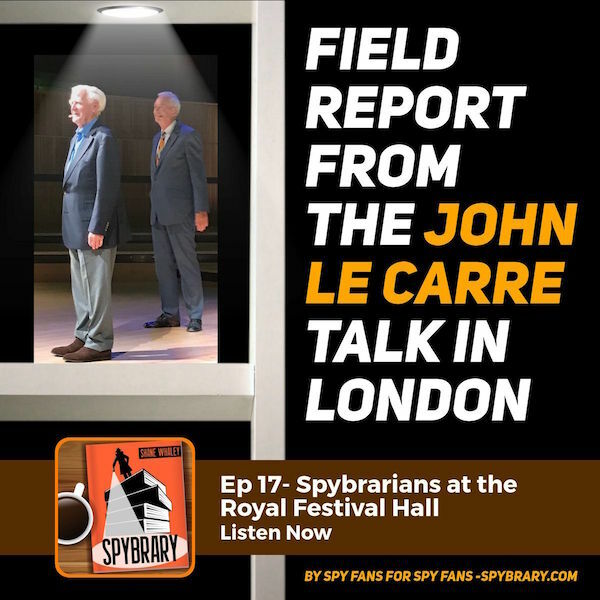 Spybrary Spy Podcast Listener Clarissa Aykroyd reviews her experience of John le Carre’s The Circus, a new immersive spy game in London. 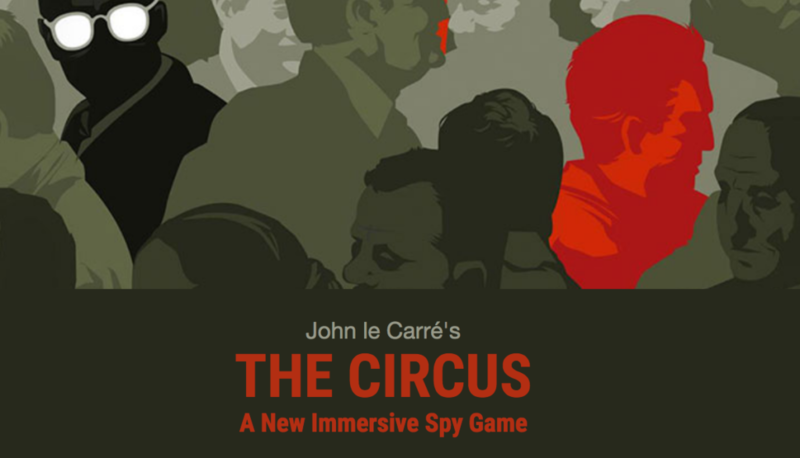 On Sunday, 9 September I took part in ‘John le Carré’s The Circus’, a real-life spy game devised by Fire Hazard Games and played in central London. Le Carré fans were surprised and delighted to hear about this new game a couple of months ago, particularly as it was in collaboration with Ink Factory, the production company run by two of le Carré’s sons and responsible for shows including The Night Manager. I played the game solo –most teams were made up of two or three people (three presumably being the maximum), but there were a couple of solo players. A few days before the game, I received an amusingly enigmatic initial briefing by email, setting the scene: ‘London, 1963… Recruitment to British Intelligence is a complex process and often very, very slow. Promising candidates tend to be identified at school or university and followed by Circus (as the organisation calls itself) until it is felt that the time’s right for them to be trained at Sarratt’. The briefing then explains that while you may have waited some time since your theoretical training at Sarratt, the time has now come for your in-field assessment. 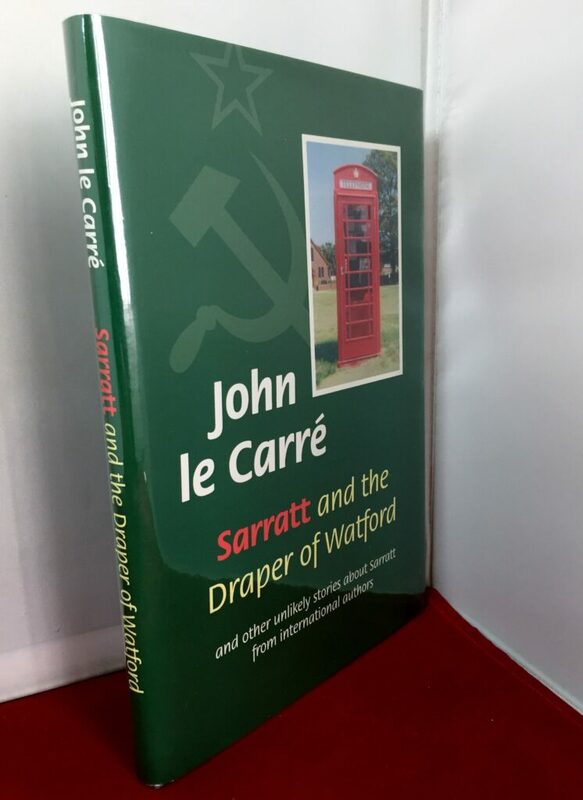 Sarratt was the training centre in John le Carre’s fictional world of the Circus. 24 hours before the game started, each team received a link containing all information to prepare for and play the game. (This is a game where it’s absolutely essential to have a working and reliable smartphone – one advantage to being in a team of two or three would be that if your device malfunctioned, you could use your friend’s.) It described roughly the type of tasks you might be called upon to perform, including dead drops and special tasks. I was advised to begin the game by meeting my handler discreetly outside a hotel in Covent Garden (not far from Cambridge Circus) and to initiate a conversation using a code word. My handler, code name ‘Faith’, was elegantly dressed in a grey skirt and blouse appropriate to the time period. Our conversation was brief but informative: I received documents to use during the assessment, she warned me that spying was a dirty business, and commented that I’d performed particularly well in unarmed combat exercises during my time at Sarratt (!). After about a 20 minute break to study the documents in a quiet park, the game began. 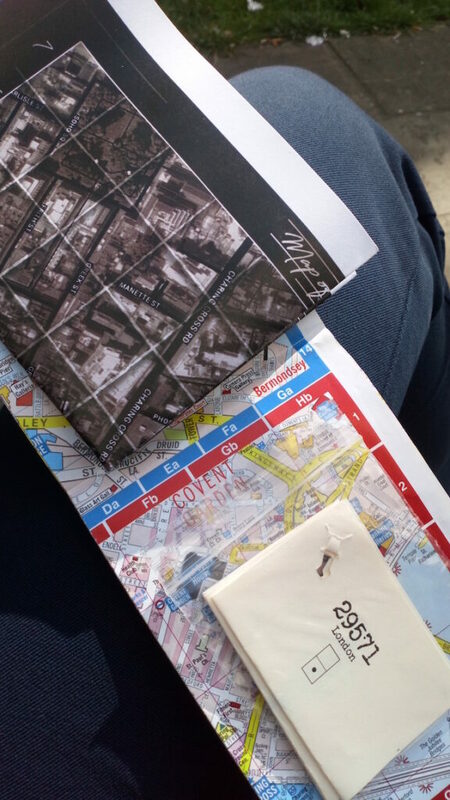 The first of series of tasks appeared in my assessment guide, and coordinates as to where in the game area (covering Soho and Covent Garden) I needed to go. 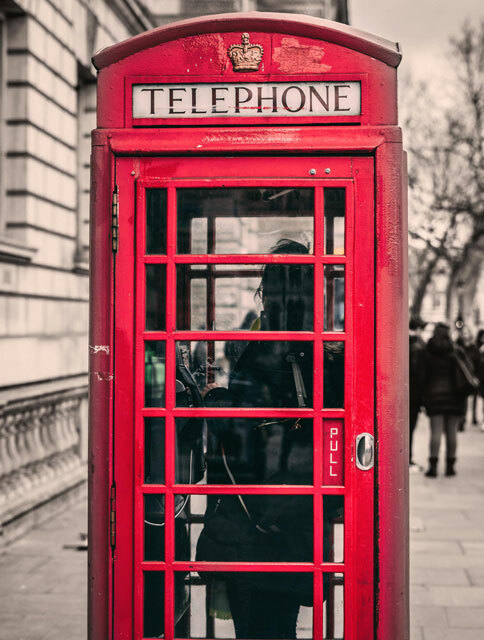 I retrieved a tiny dead-drop envelope from a red phone box, and I was on my way. I particularly enjoyed the thorough commitment of each actor involved in the game. They had just the right “deadly serious to the point that it’s a bit comical” vibe, and part of the fun was improvising conversations with them and taking part in a bit of le Carré-esque banter. My funniest moment, in retrospect, was when I had to collect a dead drop from a music shop on Denmark Street. The instructions were to find the envelope concealed in a score of Frozen. I had to hang around the shop, browsing casually, because the shop manager at first wouldn’t move away from the area I needed to explore. Then when he did, I realized that there were at least six different scores of Frozen and I had to flip through them all, trying not to glance nervously around me. I never found it. The game ended at ‘The Reading Room’, a suitably wood-panelled secret location near Chinatown. A gentleman named Monty, who was essentially a junior Percy Alleline and waved his whiskey glass about, debriefed us (“At first I wondered what sort of knuckle draggers Sarratt had sent us, but you’ve done rather well”, etc.) To my delight, he also worked in a Smiley quote from The Secret Pilgrim. The top three winners received a small prize each. I tied for eighth out of almost 20 teams. Afterwards, I mentioned to one of the staff members that it had been enormous fun but that I couldn’t help wishing there was more direct le Carré content. He acknowledged this but mentioned that it was difficult as this would add to the complexity and, of course, people could be playing the game who knew very little – or even nothing – about le Carré’s works. He did say, however, that if they were able to continue with the game (based on demand), they were hoping to add a “second layer” to the game which would have more le Carré content. A couple of days later we received a final assessment by email: apparently my dead drops were made “with skill and subtlety”, and the recommendation was “hire”. It was accompanied by a witty email (“On behalf of the agency I would like to thank you for your time spent assisting us in recent matters”). I later realized that one of my favourite things about the game was that you became aware of how you might be watched, not only by other people playing the game, but also by those who had devised the game, and finally, by the general public. 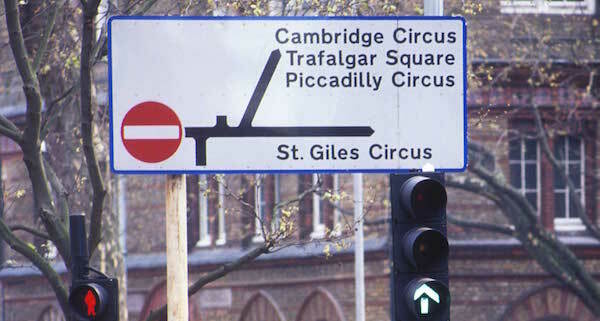 I found myself looking at the busy crowds of central London in a different way, and realizing that I was involved in something that they knew nothing about. In some ways, this was the most le Carré-esque thing of all – the sense of having entered a secret world, one which runs parallel to, or underneath, the one that most of us experience. ‘John le Carré’s The Circus’ was a very entertaining way to spend a weekend afternoon, and satisfying for fans of spy games and/or le Carré. I give it a solid 8 out of 10, and that’s me being critical. New to Spybrary? 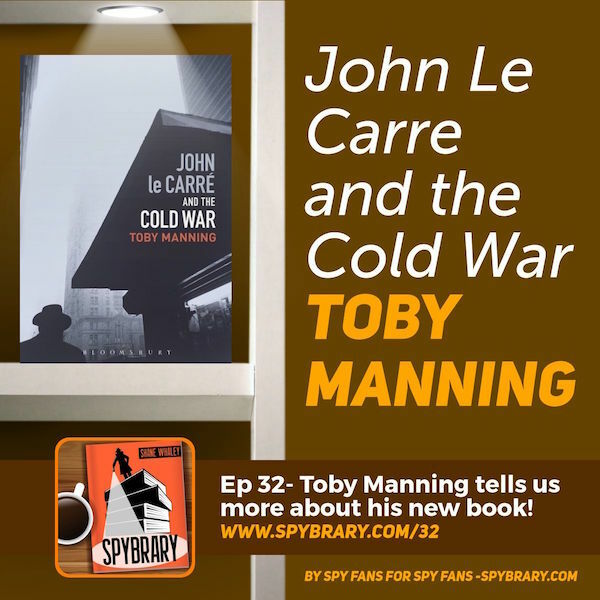 Check out some of our John le Carre Podcast episodes! 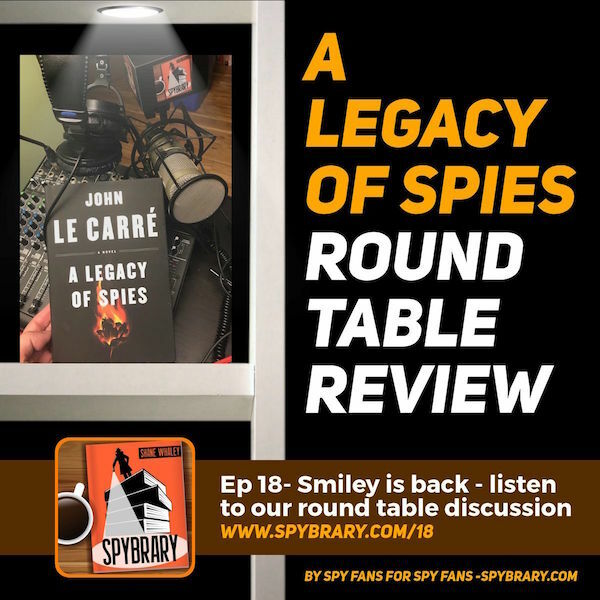 Spybrary Panel discuss the latest John le Carre novel – A Legacy of Spies. 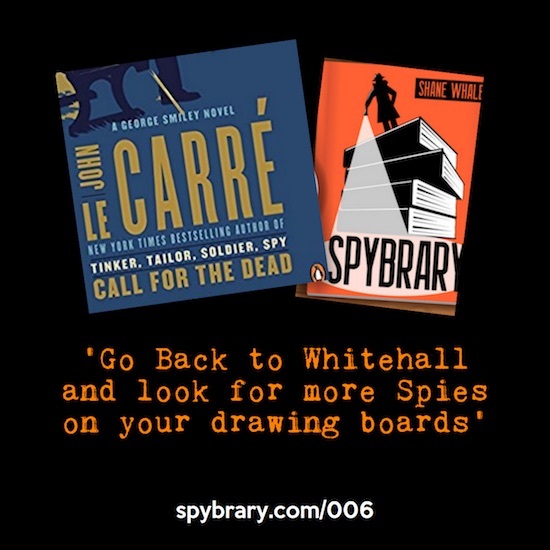 Want to chat more about the works of John le Carre and other spy novelists? 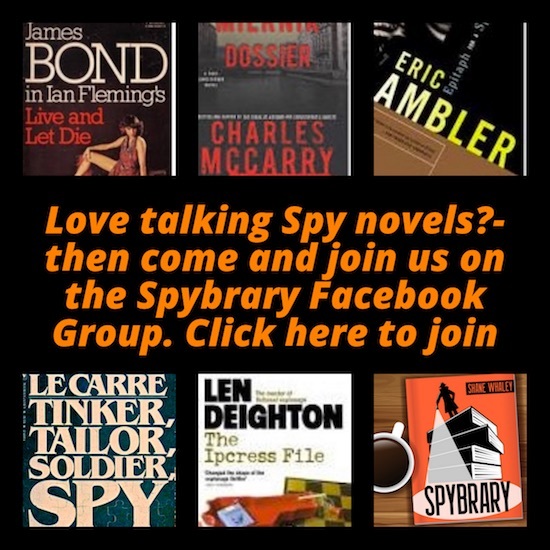 Come and join listeners like Clarissa and many others in our Spybrary Facebook Group. Thank you very much for a flattering review of our game! It was a wonderful show to put on and we’re hoping to bring it back next suitably improved. The more people who sign up, the more we can justify extending the show!